So we had to make this Malaise trap thing for our science class. We set it up and we left it and took observations every day. I went to take observations today and I found a squirrel climbing around the trap. It looks like the trap is catching more than just bugs. lol I’m so funny. 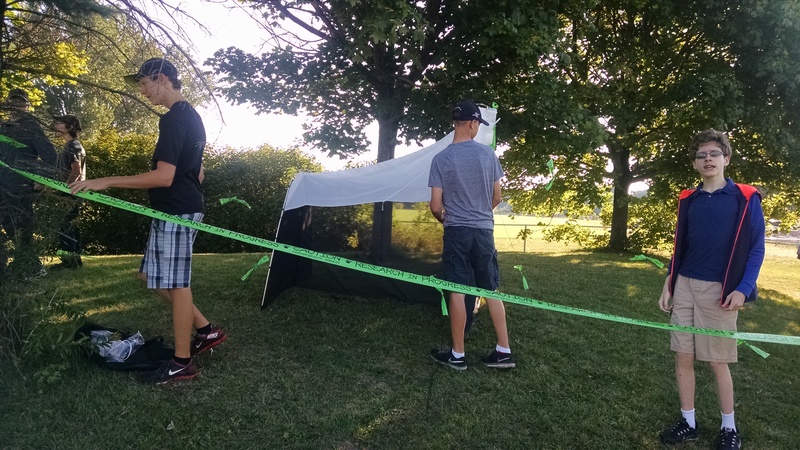 Stayner Collegiate Malaise Trap – Zach K.
The Malaise Trap is a very cool experiment because we can learn more about the bugs and insects in this area. 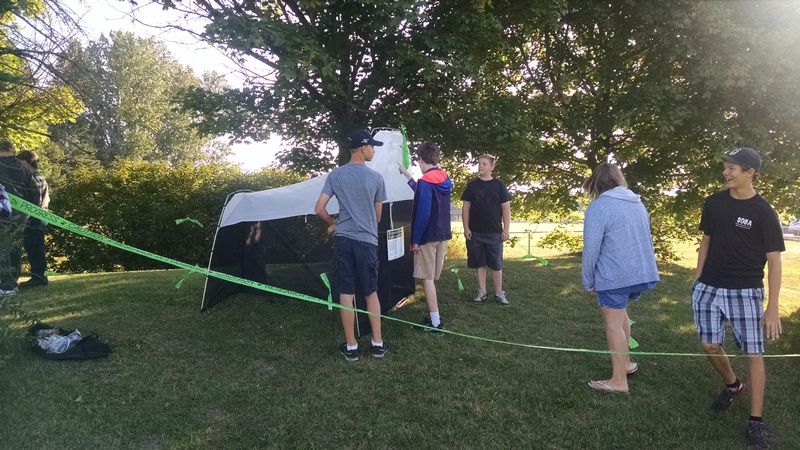 This is exciting because we are one of the 300 schools across Canada, and the only one in Simcoe County to participate in this experiment. I think that this project is really cool. My class and I have caught many bugs and we’re making great progress. In class we had to make a Malaise trap. It was fun setting it up. Every time I went to go look at it had almost no bugs. I think the trap will be successful. My name is Ryan. I am in grade 9. My science class was put into the Malaise program. I am very honored by this because we are the only school in Simcoe County to do this this year. Oh by the way, I’m from Stayner Collegiate Institute. It was kinda neat being on TV. Our class was on CTV news Barrie. It’s also pretty cool how Stayner Collegiate is 1 of 300 schools in Canada who has done this project. 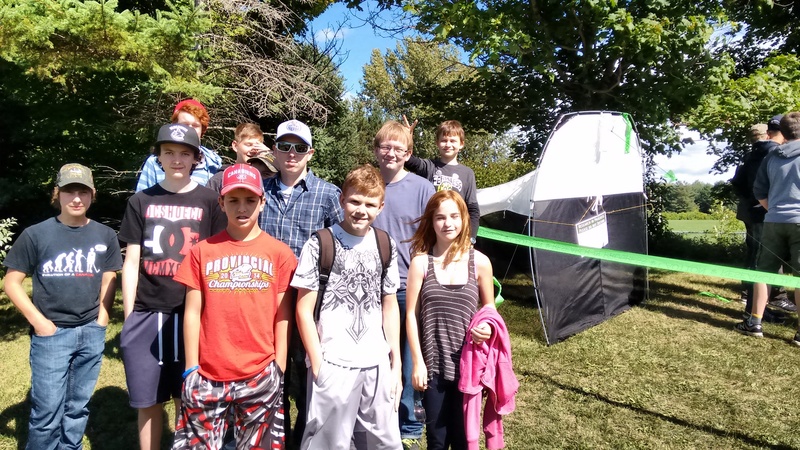 We had a great media day for Stayner Collegiate Institute on our first day of trapping. K.C. 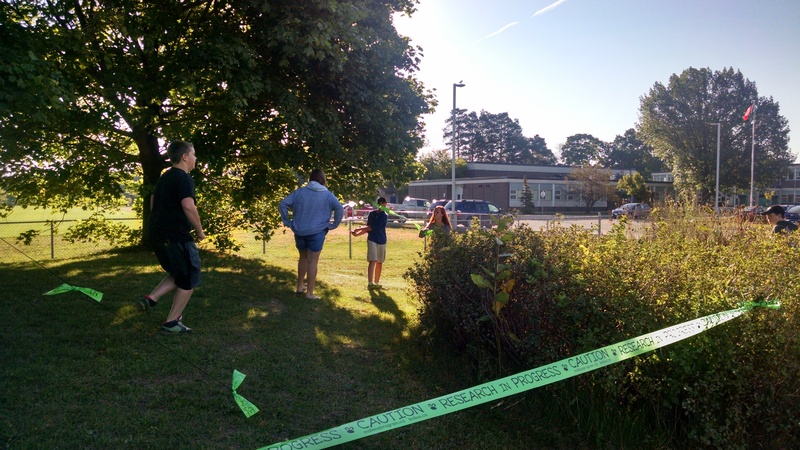 Colby came by from CTV Barrie to interview Ms. Ellerby (Principal), Mr. Mcnea and Mr. Gibson (Teachers) and Jasmine Giles and Jordan Carruthers (Students) about the program, and all of the classes involved came out to watch. We also had Jessica Kukac from the Simcoe County District School Board here in the morning posting some snippets on social media. The insects are starting to collect already! 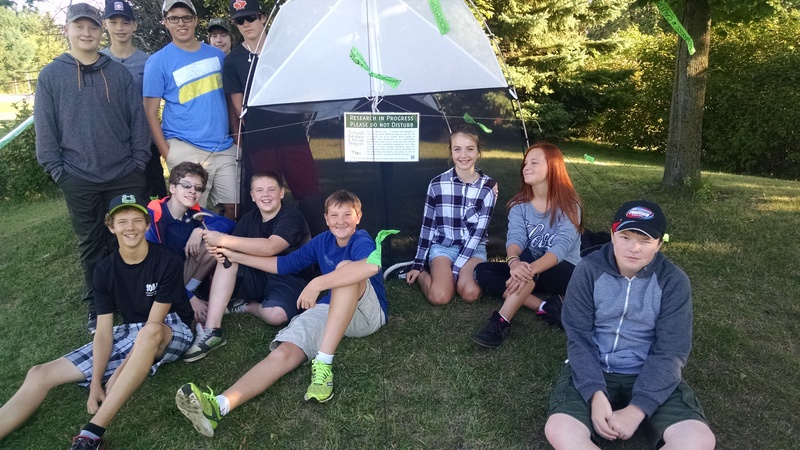 Stayner Collegiate Students having fun setting up the trap! Found this guy while looking for a location for our trap! 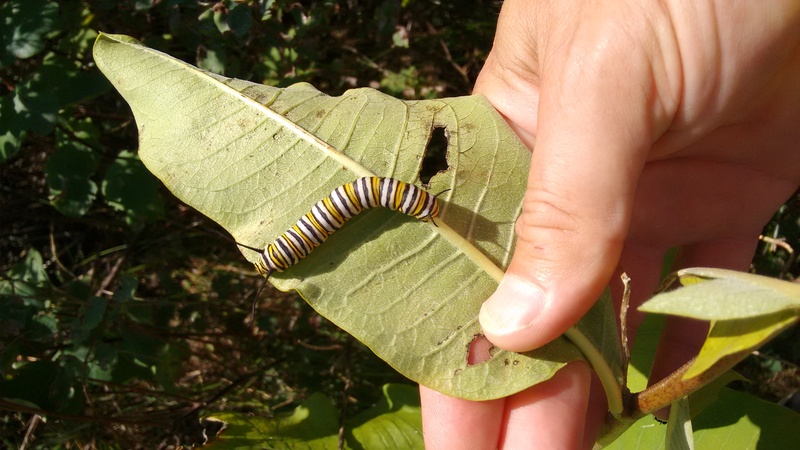 We were talking about how milkweed is so important for monarch butterflies. While I pointed the plant out to my students, we discovered this one having an afternoon snack!